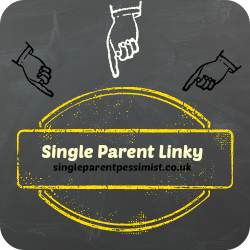 All single parent bloggers can add up to 3 posts per fortnight about anything they want! In return, all you need to do is comment on at least two other people's posts in the link-up. This helps ensure the linky is useful and spreads the word for other single parents to get involved. I Just joined your linky. I don't talk about being a single mom much on my blog, mostly because I'm not legally divorced yet. I've been legally separated for three years though, does that count? Anyway, Thanks for hosting! The posts can be about anything you like, i am just celebrating single parent bloggers so dont worry!